Hey guys, my name is Bill. I'm fairly new to the Honda scene, having spent the last six years building my daily driver (an inline six twin turbo powered 240sx). Last winter I picked up a '91 ef9 for a winter beater, and loved it. I ended up selling it, as I had no more room for more cars. 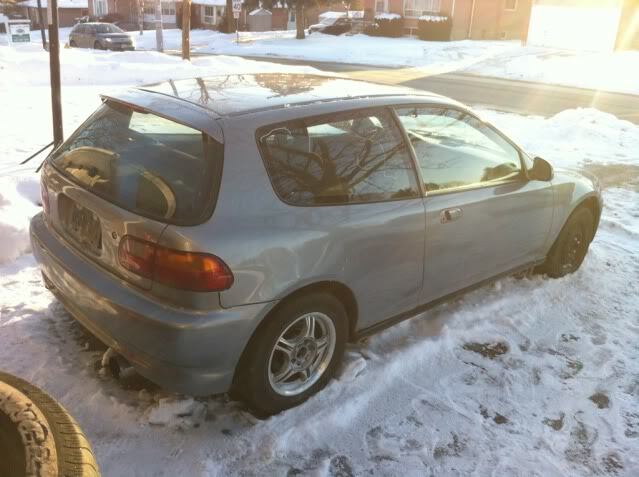 This year I picked up a fairly clean '93 Si hatch with a d16y8 and a few bolt ons for cheap ($300), which is what has been getting me wanting to get more involved in and learning more about Honda and NA community in general. 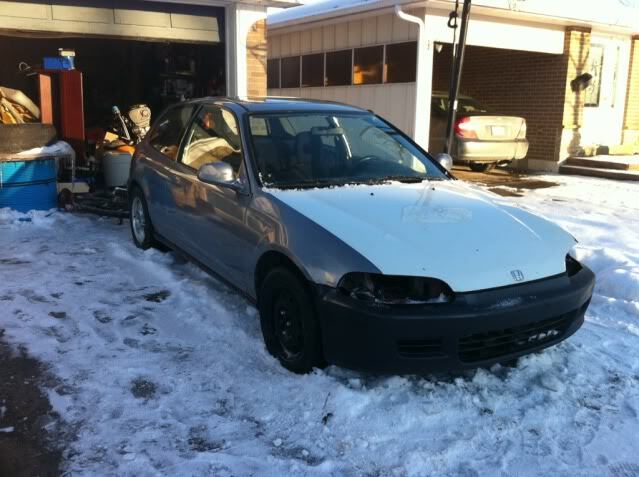 Everything else (2.25' full exhaust, cross drilled rotors all around, headers, z6 intake mani, chipped ecu, fuel pressure reg, walbro fuel pump, full energy suspension bushing kit, crx seats, body trim shave. repaint, CTR rear lip etc..) was already done when I got it. I'm finding more stuff every day. One last thing, I'm a licensed technician with a fair bit of experience under my belt in forced induction systems, fabrication and building motors as well as tuning so please feel free to shoot me any questions you may have on the subject! I'm definitely looking forward to my stay! Welcome to TCC, good to have you on the forum. Welcome to TCC Bill, glad you're aboard. I have a few questions/suggestions. None of these are meant to be hater statments, which you will prolly get from time to time on any forum. Why did you switch the Y8 IM for the Z6 one? Usually guys go the other way and put Y8 ones on the older D's. As for fabricating up strut bars, by all means if you have the tools/materials to do it, great but there are a ton of options for one that are well made and for a decent price. I also own a civic hatch, mines an EH3, so it has a sunroof that of course makes it heavier up top and takes away from the rigidity of the chassis. That said the strut bars that made the biggest difference on my hatch were a good front upper, not some cheap E-bay styler crap that flex like crazy and the C pillar bar was head and shoulders above anything I did to my cars structure that I noticed a real difference. I never bothered with the B pillar so I can't say what that will do for you, I'm too tall and need my seat back as far as possible and that kinda makes B pillar bars not a great option for me and since my other car is a 2 seater, I want to keep the EH3's back seat an option, as small as it is it's better then nothing. For your chassis, if you wanna do suspension mods there are really 2 good ways to do it, street coil overs or pure race. If you plan to make this a track purpose vehicle then pure race is the obvious option, but if the car is gonna be street driven with the occasional lapping day, I recommend you find Si front lower control arms, and either ITR rear LCA's or buy some after market ones like BLOX or Sk2, an ASR lower sub-frame brace (or passwords version) and then get ITR front and rear sway bars or after market of similar thickness. That particularly the rear will help the car be a bit more neutral and handle a lot less like a FWD. Lastly, if you wanna stay N/A but you start to feel that the motor you have is too slow compared to the turbo your used to then don't waste a ton of money on modifying the D16 you have, swap in a B/H/K series motor (K's are still kinda expensive but if you got the coin a good option) But don't get the wrong idea about the Honda motor, there are a lot of guys running high boost builds reliably. Your D is actually a great motor for boosting. A good kit and some basic internals for strength and getting 200-250hp id not uncommon and if you go really crazy there are people like Bisi-moto that have a D15B vtec Civic Wagovan making over 700hp. Either way, good choice to get a civic. We look forward to seeing the progress of it. Any pics of the other car? in the car media section there are several sections for posting up pics of your car, categories from different gen civics, one for other Honda/Acura's bikes and other cars too. Most of us on here are die hard Civic fans but we can respect a good car when we see one. Thanks for the warm welcome guys! Just happy I'm not joining viper alley or something lol. As for the fabrication of various bars, it's something I've been doing for a good while now, and definitely have the means to do so. Making them myself is definitely my preferred method, as not only does it let me make my own design, it gives me huge pride in making something that's my own who knows, if there's interest in my design, I may start making more for other members with my company badge, GarageBuilt. 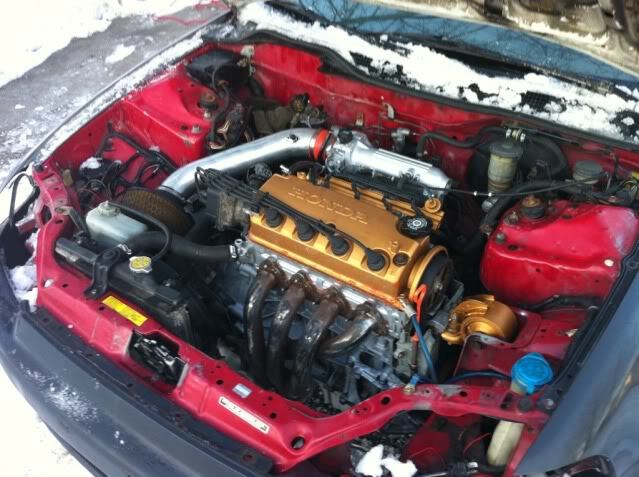 I don't expect my eg to ever come close to the 8xxhp range that my s13 will be in by this season lol, I more just bought it for some light driving fun, so I will not be building the motor up that much, or even setting it up with track oriented suspension. A nice comfortable yet fairly stiff ride is what I'm looking for. Also, maybe I don't understand where you're comin from with the Si control arms, did my Si not come with Si arms? yeah it did, sorry for some reason I thought your car wasn't and Si. The other trim levels didn't have front sway bars so you need the Si ones, but you have that anyway. Adding in a rear sway and the C pillar bar will be a nice mod for you though. I may be wrong about this but are you sure your cars not a 92? 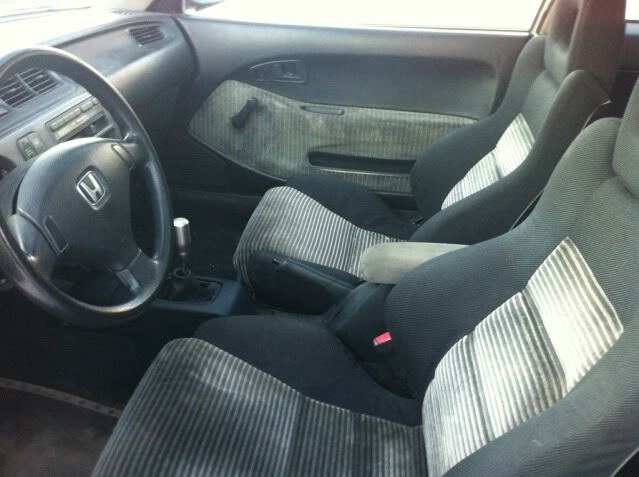 My 93 came with and airbag that I think was factory in the EH3 and an option for other trims. My 92 had the same wheel as yours does. 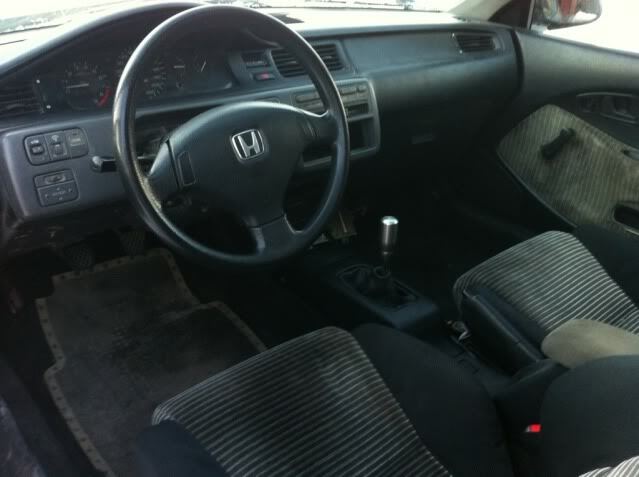 Either way, lucky you, that is one of the few OEM Honda steering wheels I like. If you do decide to start making your own strut bars for sale then good luck to you! 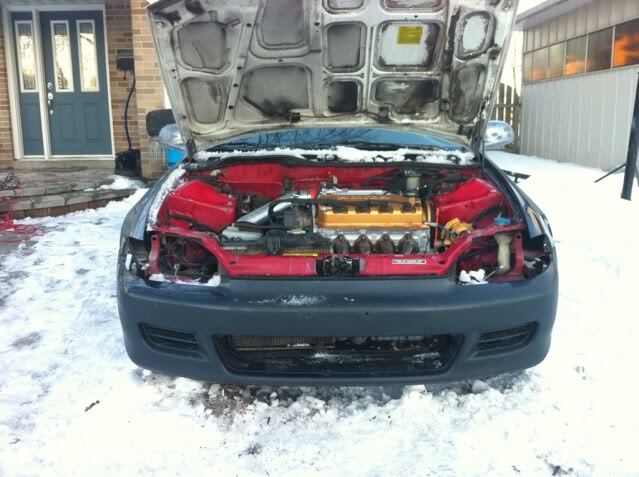 There is a guy called CheddaJ I think on redpepperracing.com who had been making his own 3g Civic/1g CRX short shifters and adjustable panhard bars and he seems to get a lot of interest in his parts there. 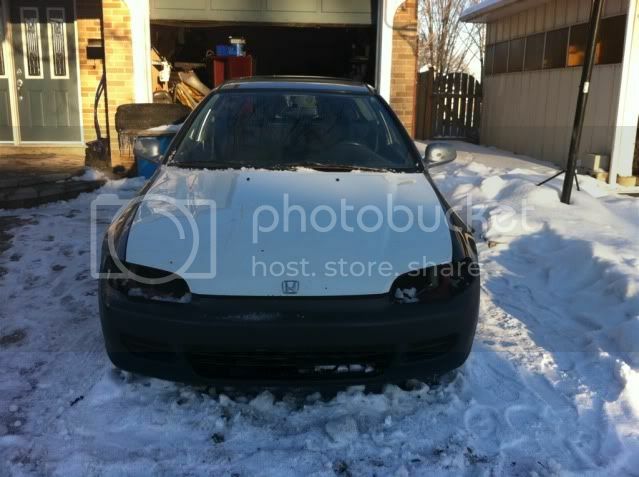 if he can get interest in parts for cars as rare as the EW platform I;m sure you could do the same for the 88+ civics. Nice to meet another DIY/fabricator guy who likes to build his own parts! Last edited by MPR; 31-Jan-2011 at 09:16 AM.